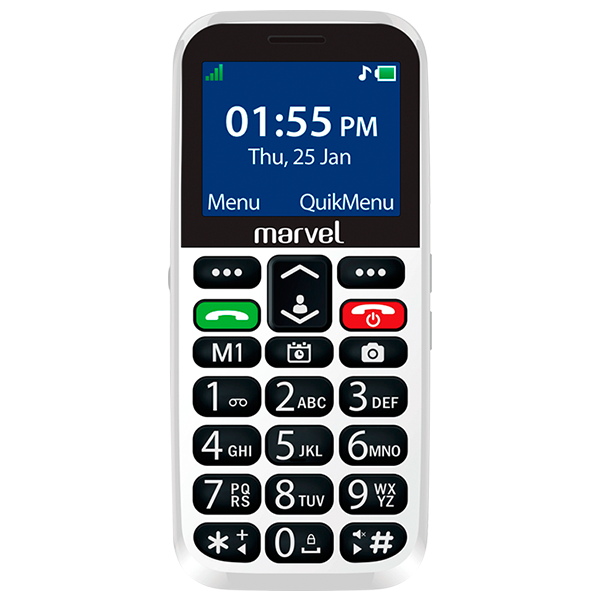 Easyfone Marvel - A Phone for Senior Citizens. A robust & big dual SIM 2.2" easyfone with over 20 senior-friendly features that helps you stay connected with your elderlies especially in case of emergencies. The phone with easy to dial keypad, loud & clear sound, dedicated SOS button, long battery life helps your beloved enjoy their life independently & safely.